In this article, Jose Rizal and his family were discussed. Jose Rizal was born to parents Francisco Mercado and Teodora Alonso. He had 10 siblings with Saturnina Rizal being the eldest followed by Paciano, then Narcisa, Olympia, Lucia, Maria then Jose Rizal himself, the Concepcion, Josefa, Trinidad and the youngest, Soledad. 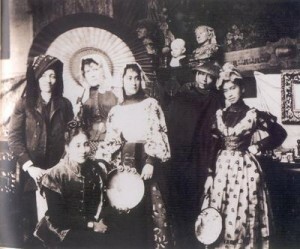 The Rizal family is considered as one of the largest families during Spanish colonization. Although Jose Rizal went away to go abroad he continued his communication with his family through letter writing telling them about his experiences studying, staying abroad, his observations of news, people and advices for his family. They exchanged letters throughout his trips. Jose Rizal’s mother wrote letterz to his son encouraging him to acknowledge the Catholic Church and the act of praying. ‹ How good was Dr. Jose Rizal’s English?